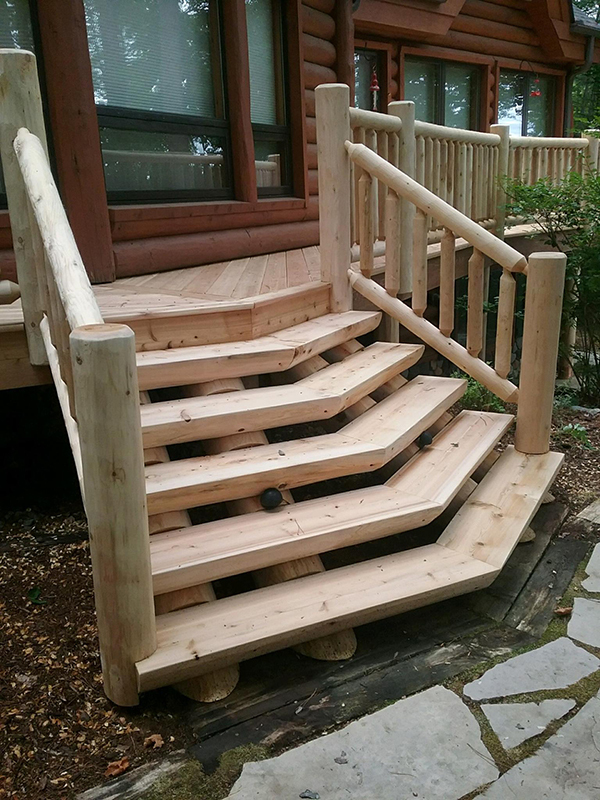 Armstrong Creek Company manufactures custom log stairways and high quality cedar log railings that are designed to fit your log or timber style home in the shortest lead time in the industry. 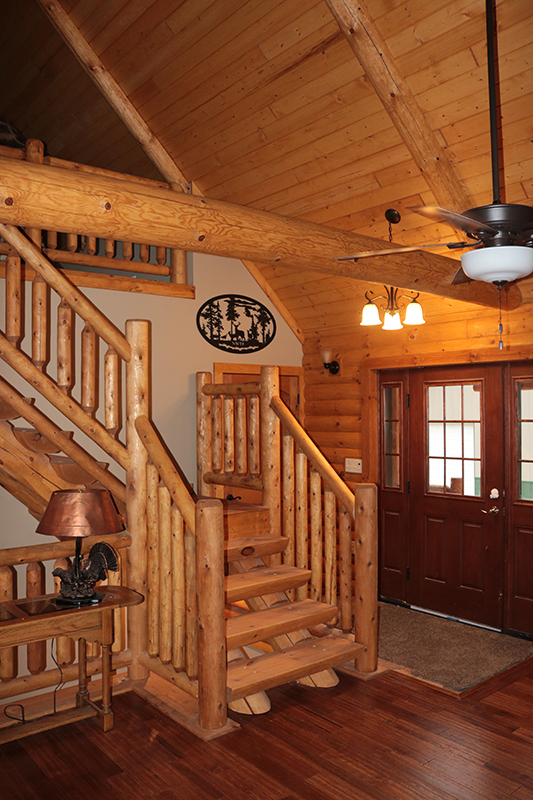 Log homes across the United States have products manufactured by The Armstrong Creek Company. 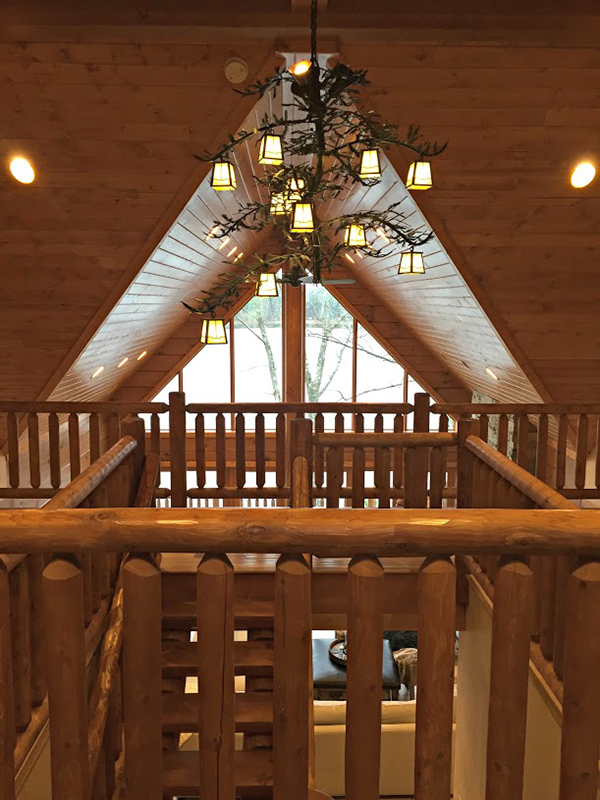 We have been creating rustic cedar log railings, hand hewn pine log stairways, and hand hewn log mantels since 1998 here in the heart of Wisconsin's northwoods. 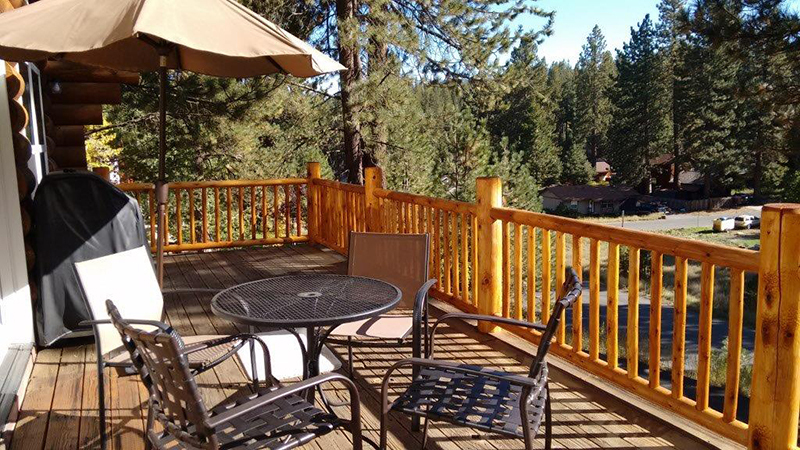 We provide top quality customer service, and the finest materials accompanied by competitive pricing. 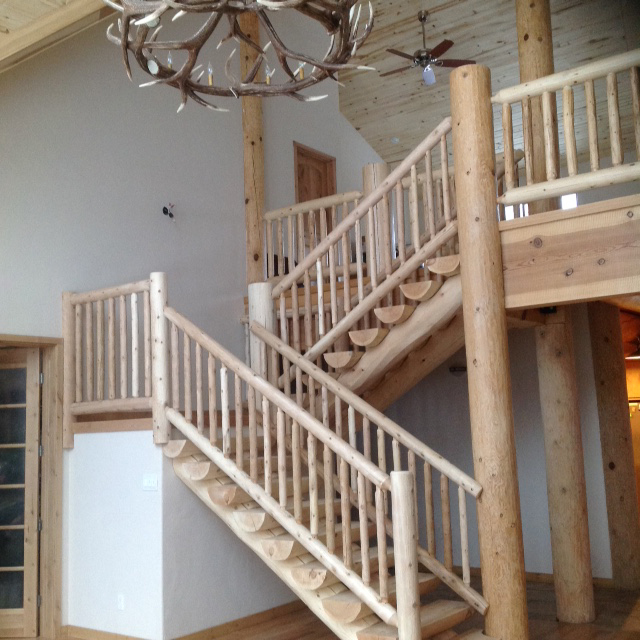 The Armstrong Creek Company makes top quality rustic cedar log railing, hand hewn log stairways, log spiral stairways, post wraps, and timber stairways that log home builders rely on. 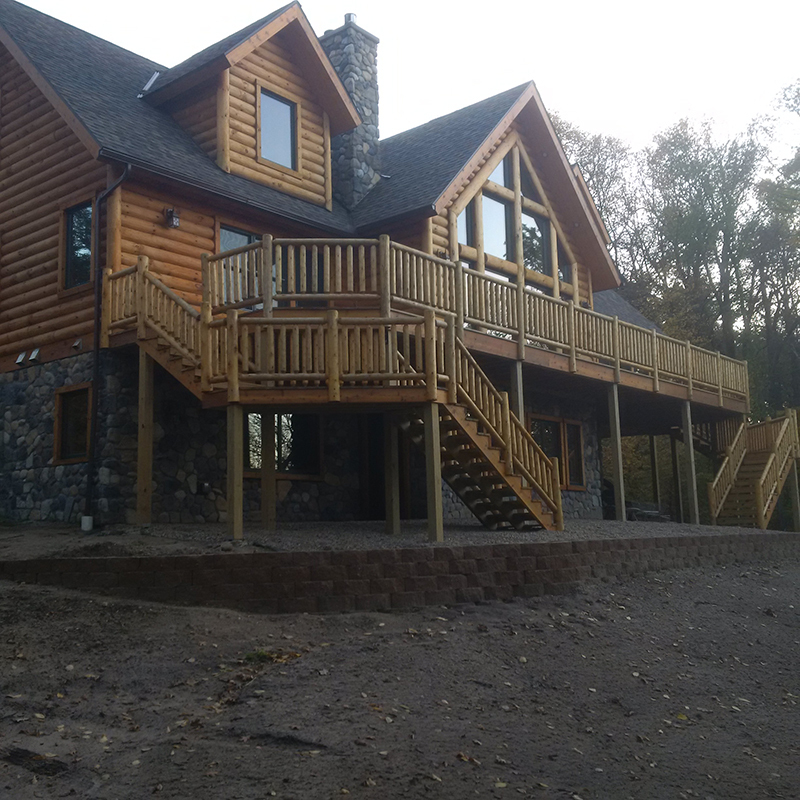 We also provide top quality customer service that includes CAD drawings of your projects layout and design suggestions from our company engineer. We've been manufacturing our products "right" since the beginning using the best in materials and craftsmanship. 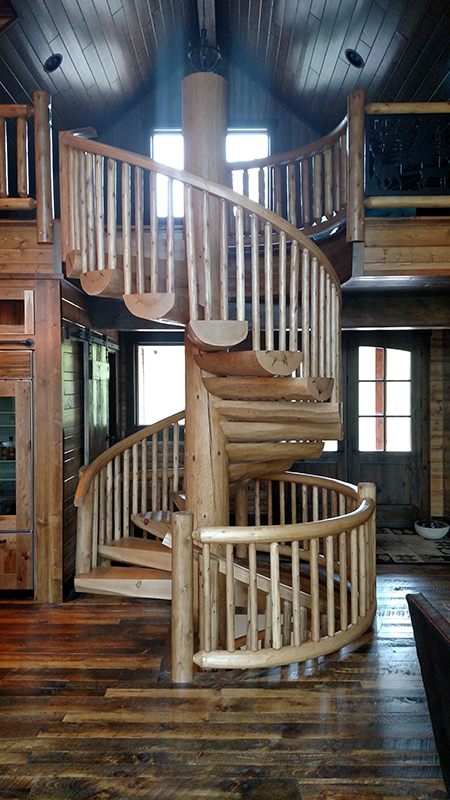 As a result, we're the supplier that more builders and home owners turn to.Whether it be replacing old pine railing on a deck or a newly built loft railing and log spiral staircase. Each project is discussed, and all the details analyzed so that installation is efficient. 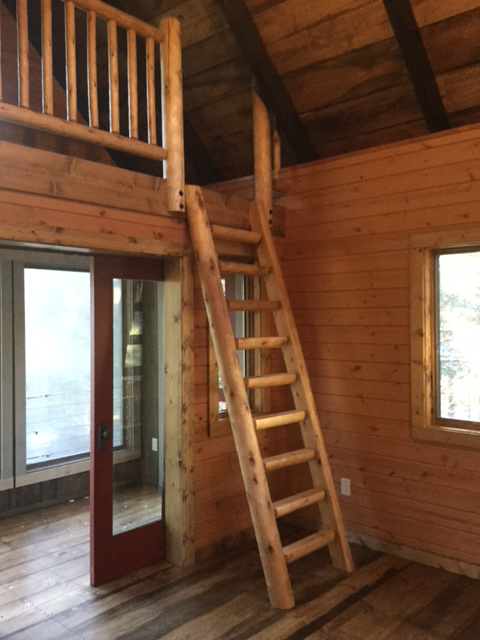 This will provide you with an installation that is efficient, and a final product that is sturdy and sound. All of our products start with hand picked material. 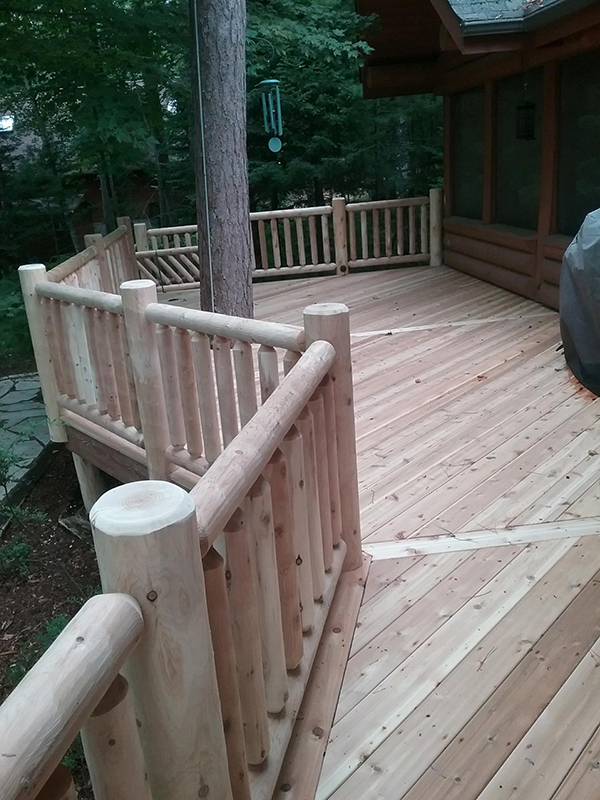 Our log rails are crafted from northern white cedar, and all our pine log products are made from kiln dried white pine. 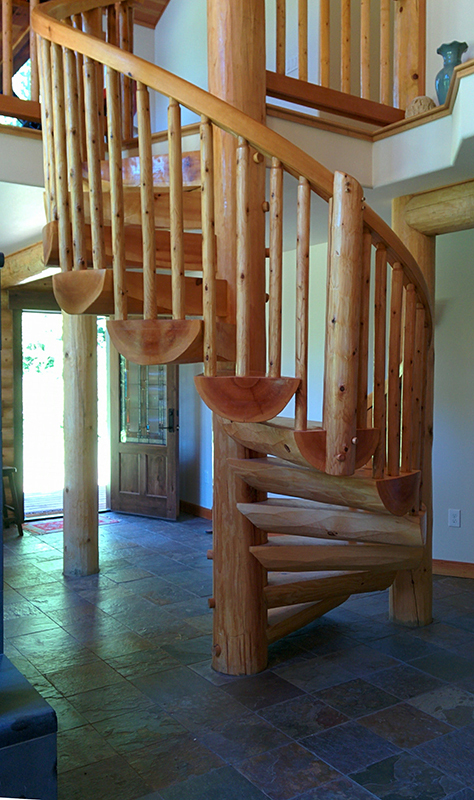 All of our custom log products are built to order and shipped within two weeks of receiving your specifications. 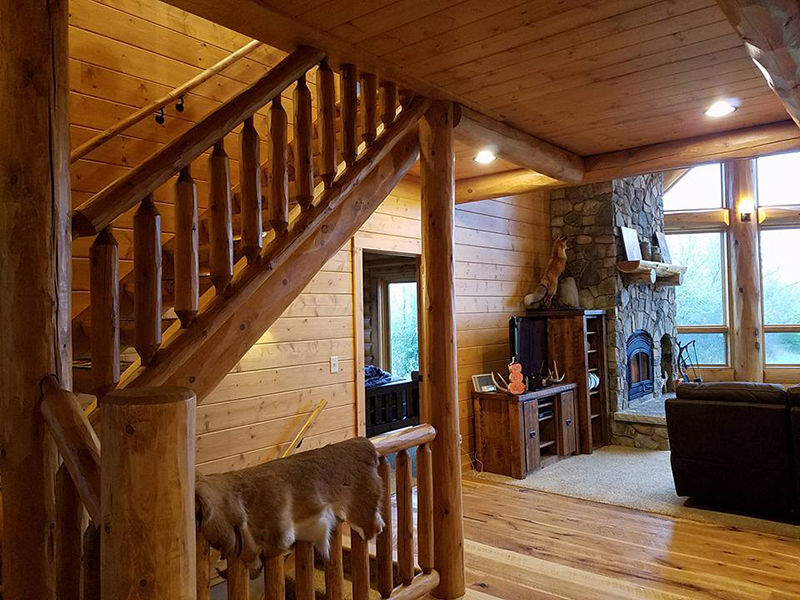 The custom log products you order are going to grace the center of a beautifully unique log home, and we have various designs and styles that will work for your specific application. 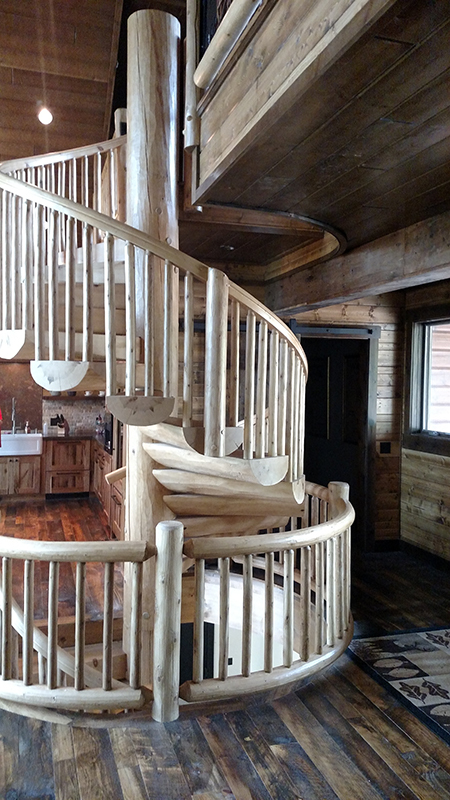 Armstrong Creek Company is the only spiral staircase manufacturer to produce an industry exclusive: a continuous curved handrail on all spiral staircases. 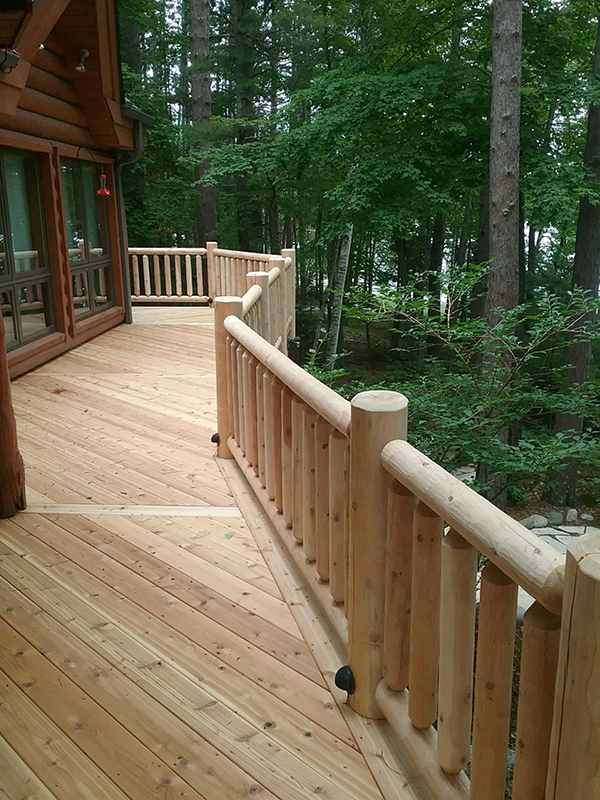 Unlike other companies that build their railings from components, we bend and hewn our railings by hand.